I’m sure I’ve mentioned it before but since I work on Tuesdays and Thursday outside of the home I try and make something on Mondays and Wednesdays that we can have leftovers of the next night. Pasta dishes are great for this, but you can only have so much pasta (yep, I said it – hard to believe I know!). I’ve started to make a lot of casserole type meals. Chicken and rice tends to get a little old after a while so I’ve started thinking of ways to turn non-casserole meals into casseroles. 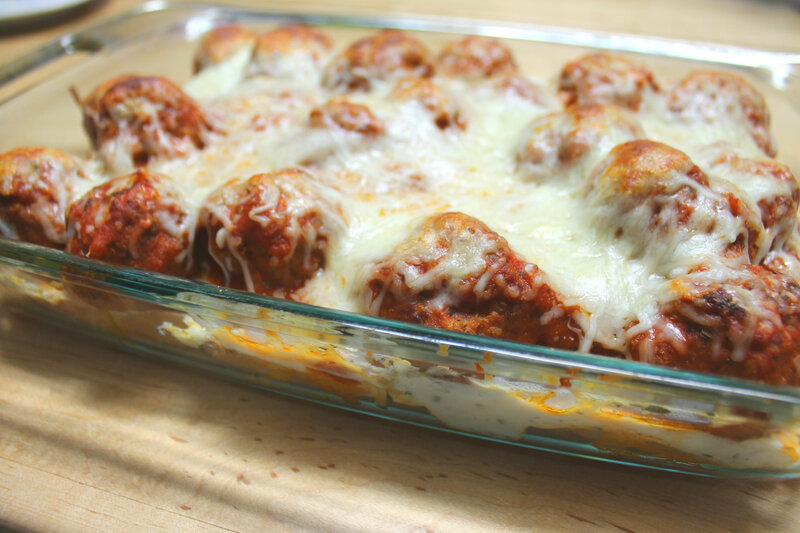 L is REALLY into meatballs these days so I figured a meatball sub casserole would be GREAT! A quick Google search and I realized I wasn’t alone in that thought. I also realized that EVERY recipe called for a mayonnaise/Italian dressing packet combination. I saw a few that used cream cheese as well. I decided to try my own combination and it turned out so well! I also used meatballs I had made earlier and frozen. You could certainly use store bought frozen meatballs though! Trader Joe’s has a frozen turkey meatball that I really like! 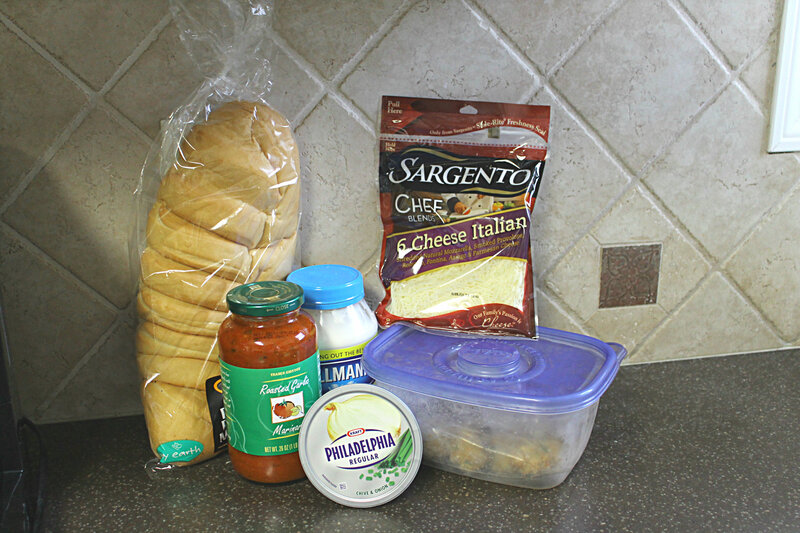 It’s a fairly simple list of ingredients (as you can see below!). I’ll even own up to the fact that I used jarred sauce. We didn’t have any of mine frozen and I really wasn’t in the mood to make a batch so I sucked it up and went with store bought! 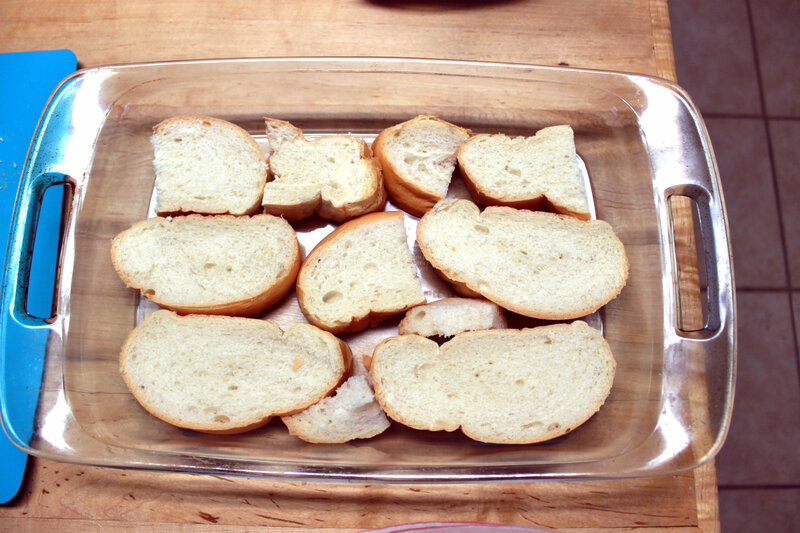 Arrange the toasted bread in the bottom of a 9×13 baking dish coated with cooking spray. You will probably need to cut up some of the slices to get the whole bottom covered. 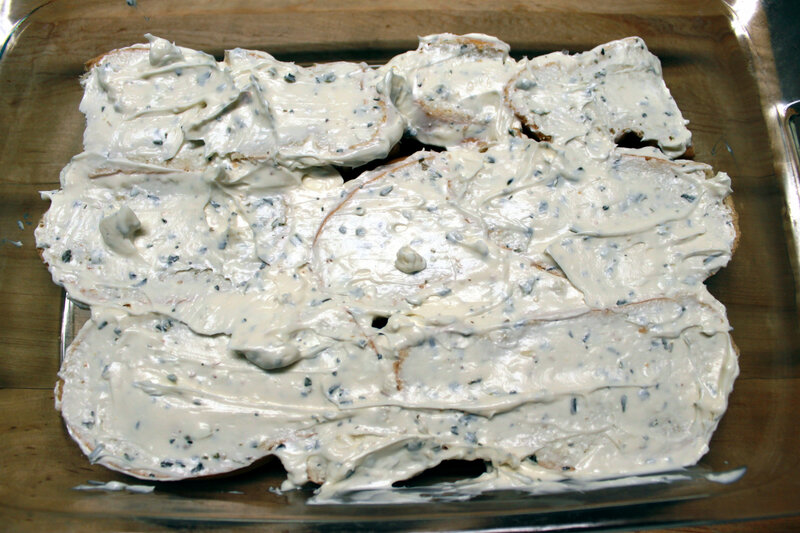 In a separate bowl, mix together the mayonnaise, cream cheese and spices. Spread the mixture in an even layer over the toasted bread. Combine your meatballs and sauce in another bowl. Pour the mixture over the bread, spread and cheese. Remove the foil and continue baking for another 10-15 minutes. Finally, finish it off but putting it under the broiler for a minute or two to make the cheese nice and brown! 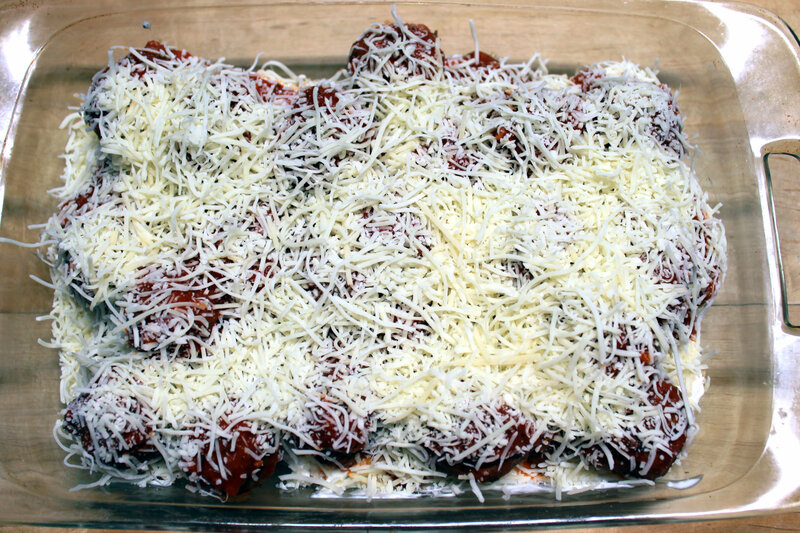 I served the casserole with a delicious spaghetti squash (recipe here) and some roasted brussel sprouts. It was a HIT! Darrin couldn’t stop raving about this meal and Lucas ate more than his normal portion as well. This is one meal that is entering our rotation for sure. Do you have a favorite casserole? Share it in the comments below because I’m always looking for something new!